Tucked away along a road less traveled in the northwestern part of Cumberland is this lesser known preserve. The road itself is dotted by historical homes that date back over 200 years and abut the property. 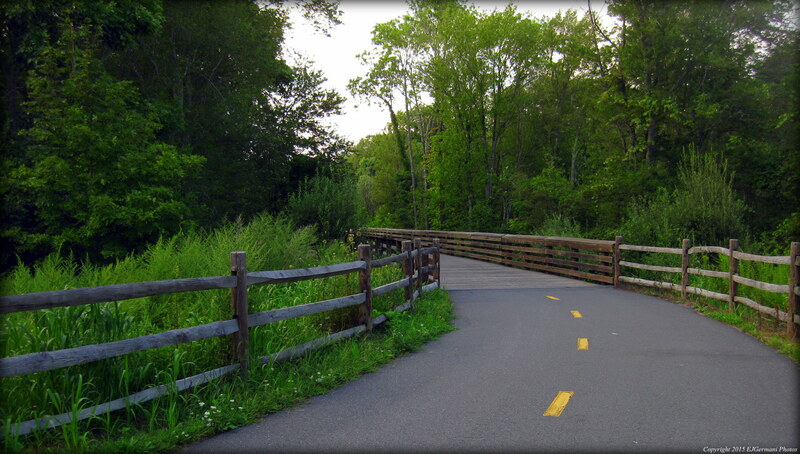 The Blackall Preserve offers trails that wind around the property passing impressive stone walls from yesteryear. The canopy above is mostly oak and maple with an occasional beech, pine, and birch. There is a small pond on the western edge of the preserve as well. The trails are easy to follow and are well defined. However, they are not blazed nor is there currently a map for the property. There are three entrances to the property along Old West Wrentham Road. The main entrance is just north of utility pole number 53. An abundance of birds and deer tracks were observed here at the time of this hike. The well known Cumberland Monastery has miles of trails that winds through woods and fields. Most do not know that there is another entrance a little further north along Diamond Hill Road at Lynch Park. These lesser visited trails, as well with the rest of the Monastery, has recently been blazed. For this hike we decided to do a short loop of just under of a mile that started at the gate by the parking area. We first followed the yellow blazed trail that follows the power lines. Just before an open field at one of the towers we turned right onto the orange blazed Lynch Trail that winds uphill and to the north before looping back to near the beginning of the hike. There are stone walls and young beeches among the older pines along this trail that towers over the valley below. To add more miles to this hike continue along the yellow blazed trail into the heart of the Monastery property instead of turning onto the orange trail. For the third a final leg of the Blackstone River Bikeway walk we completed the southern 3 or so miles. Starting where we left off in May at Front Street in Cumberland we immediately made our way into Lincoln by crossing the Blackstone River. The bike path then turns to the left passing the Kelly House. 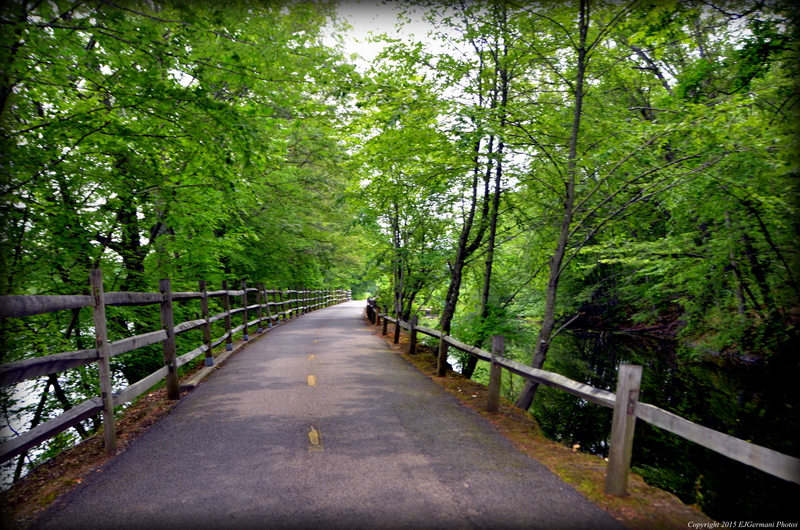 This stretch of the bike path follows the Blackstone Canal on the right for a couple miles. The river it self is on the left most of the walk. There are several spur trails to the left that lead to the river. Along this stretch we came across many animals and insects such as geese, ducks, chipmunks, squirrels, birds of all sorts, turtles, fish, butterflies, and dragonflies. Soon we were crossing the river again on a bridge that crosses at the Pratt Dam. This would lead us back into Cumberland again briefly before crossing Mendon Road. After crossing the busy road we again crossed a bridge back into Lincoln and into what was once the Lonsdale Drive In. It is now a restored marsh with several wildflowers. We concluded our walk here at the old entrance to the drive-in. The bike path from this point continues south for about a half mile before becoming a bike lane along city streets to Providence. 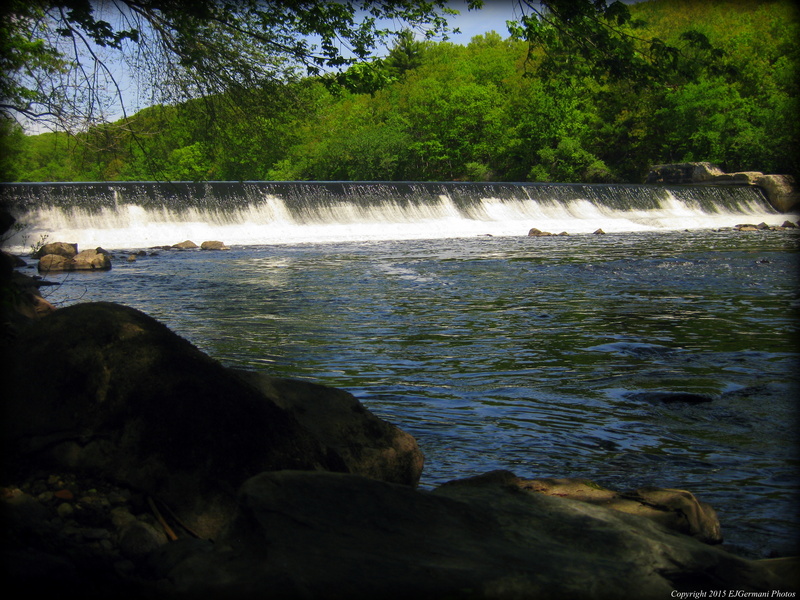 Trail map can be found at: Blackstone River South.